What you or I believe is irrelevant. Not quite sure, because belief ( the lack of doubt ) can come for an experiment. For instance after a DNA test, scientists can believe that John Doe is the son of Joe Blow. 39% of US is powered by coal burning energy, if you really believed what you are saying, you would be looking to replace it with those that cause less carbon emissions. If you think about it, we come from Earth, what do you mean Earth can not sustain us? Seems to me the rise in CO2 levels cannot be denied... however CO2 levels have been much higher in this planet's history without a runaway greenhouse effect. I see the warming as a good thing. There's a lot of land on this planet that is in very cold areas... Canada, Greenland, Alaska, Russia, etc.. everyone complains about the cold and moves to Florida.. having it be a few degrees warmer isn't necessarily a bad thing... except in coastal areas where ocean levels might go up a foot or two. global warming must be true! Bill presented presented refutable proof. So Global warming must be true. ,remembering back to my highschool science class where we learned about the green house effect and its resultant warming of the atmopshere makes me think mans usage of 100 million barrels of oil being used daily global warming might be a reasonable consequence to such massive usage of fossil fuels. I 100% agree with you that belief is irrelevant, only the facts you are stating are really your beliefs. Myself, on other hand, I willing to listen to an intelligent debate on the subject to find facts. For instance 39% of US get's it electricity from burning coal and that generates lots of carbon emissions that allegedly cause the man made global warming. 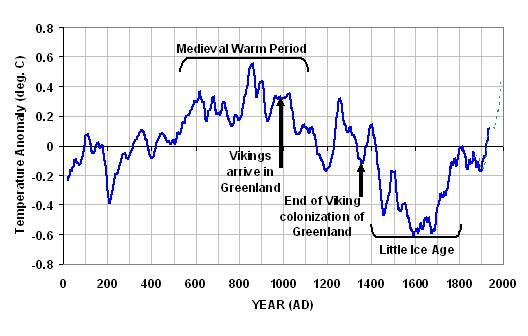 Some scientists predicted global warming or climate change as ever you would like to put it and said it was man made. Now we are debating if it is man made or natural. Polar caps have been melting for a while now, and it was said due to human industry. Now a climate change. This seems to be a partisan debate, and I do hate republicans, but I want to see science and accept my facts on the basis of that. Here are some charts that I found for instance. NFN? Is that an acronym? You should explain it if it is.